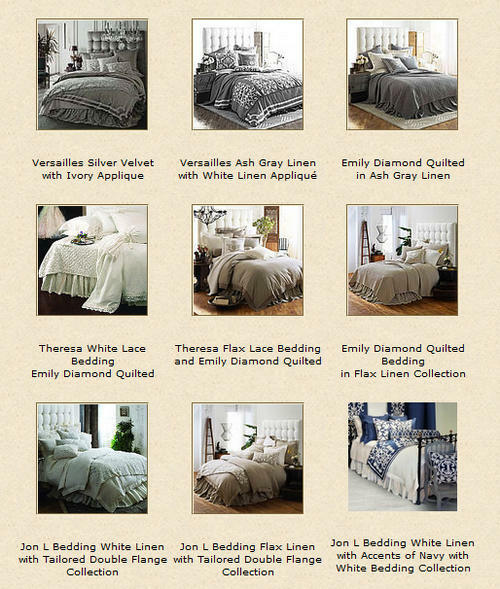 Lili Alessandra offers many beautiful bedding collections that visually reflect a regal lifestyle. Texture plays an important role to bring a unique mix of fabrics and colors that are tasteful and refined. Applique and lace embellishmebnts, silk textiles, luscious velvets, linen, and creative uses of gold silver, and bronze are the elements that set Lili Alessandra apart. Upholstered headboards lend added softness to the overall look. The collections offer many options that allow discriminating home decorators to create a unique and personal ensemble for the bedroom. Please watch our latest video featuring DefiningElegance.com, a world of fine home goods at your finger tips. Be sure to visit Defining Elegance often to see all our fabulous collections. Our creative team constantly updates our web site with new and exciting textiles including fine linens, bedding ensembles, decorative pillows, draperies, area rugs, table linens, and more. 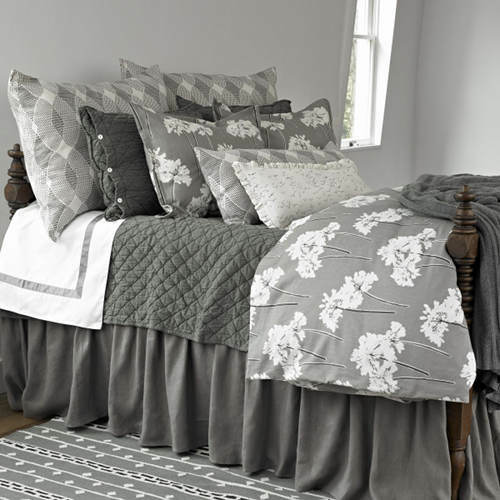 Introducing Traditions Linens Felicity Bedding Ensemble. This collection creates a unique contrast with different gray shades. The graphic Felicity print is wonderful with the contrast of Gray Grid and Tuscany Linen in True Gray to pull it together. Introducing the new simple yet elegant Darby sheeting and the perennial favorite Louisa Coverlet – now in Charcoal. Beautiful linen with a classic bedroom appearance. DefiningElegance.com is excited to introduce Candice Olson Designer Area Rugs by Surya. Candice Olson is the well known host of HGTV’s Candice Tells All and Divine Design. Taking the best of classical design and stylizing it with a modern twist, her elegant interiors have caught the eye of the TODAY show, The View and The Oprah Winfrey Show. This unique line of designer rugs encompasses beautiful modern designs that will work with most home decor. As we expand our selection of designer rugs by Surya, we look forward to introducing more designers and a diverse collection of designer area rugs on DefiningElegance.com. The Tuscany Solid Drapery by Softline has a rich luxurious appearance and is reasonably priced. It is available in 3 styles: Rod Pocket, Back Tab (soft pleats), or Grommets. Finished panels are approximately 52″ wide. 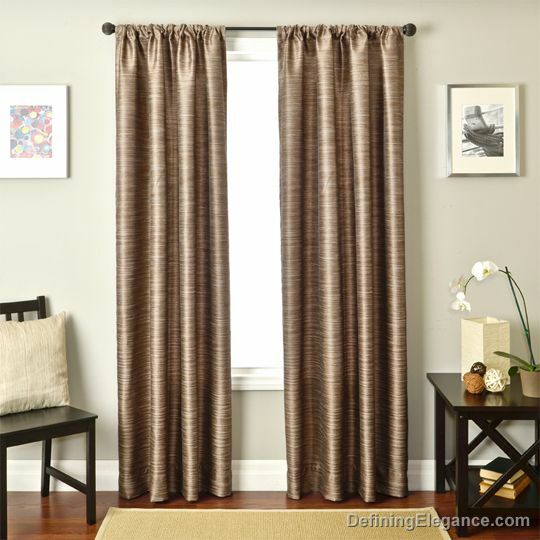 This drapery is available in seven different colors and it is also available lined or interlined. Swatches may be obtained for color coordination purposes. The wonderfully elegant Keswick Ribbon is the perfect marriage to the gorgeous Keepsake. Tones of creamy vanilla with dreamy blues and soft greens will be your own treasured keepsake. The magnificent Milano sheeting adds pop of cool color – what will be your perfect sheet pairing?